Bongo - A Monkey Miracle! 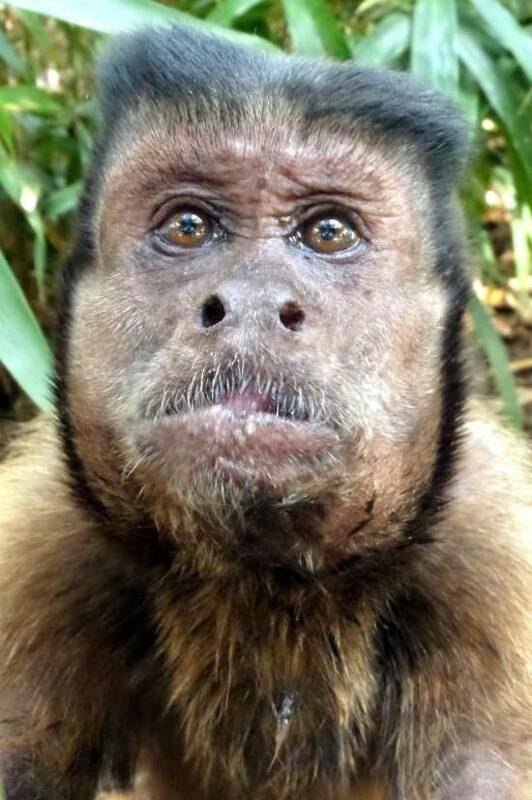 Bongo, a 40-year-old tufted capuchin, was stolen from his rain forest home and sold into research.There he lived for nearly two decades in a lab cage -- all alone. 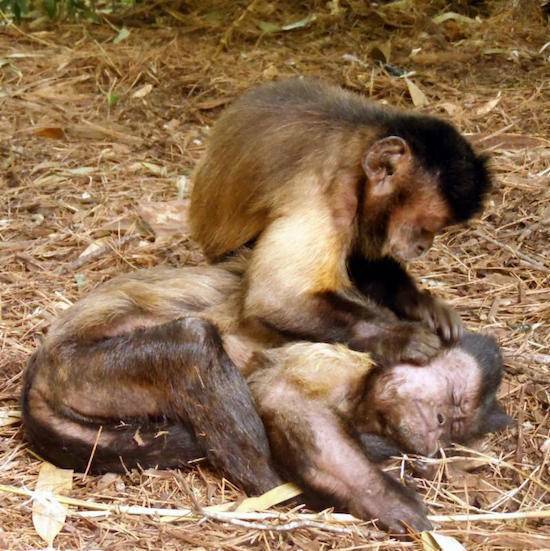 Fortunately, after the toxicity studies ended, Bongo and eight other capuchins were retired to Jungle Friends on April 8, 2005. Here at Jungle Friends Primate Sanctuary we believe in MIRACLES and Bongo is one of our Monkey Miracles! In 2014 Bongo was having trouble walking. Soon, he was dragging both legs behind him. He was taken to Dr. Schirmer immediately. Bad news -- radiographs showed that Bongo had developed spondylosis, calcified intervertebral discs, severe degenerative joint disease and a collapsed vertebra. He was on joint medication due to his advanced age, but being such a tough little man, he managed to hide many of his health problems. Bongo was prescribed pain medication and steroids. In no time, Bongo was gaining upper body strength and using his pull-up bar to move about his cage. He was released from the clinic and back into his habitat that we had equipped with ropes and ladders so he could maneuver himself around and gain strength. Our compassionate carestaff went into Bongo's habitat several times a day to care for him; he had developed urine scalding and an ulcer due to his lack of movement. But Bongo was not getting better. An appointment was made with the University of Florida Zoology Department with the hope that his disc could be surgically repaired. Our hopes were dashed when the MRI showed the collapsed disc had ruptured into the spinal cord! This caused the paralysis. We were told that Bongo would never regain the use of his rear limbs -- euthanasia was recommended. We were not about to give up on Bongo! Once we reunited Bogo with KC he began to improve! KC nursed him, groomed him and cleaned him all day long, she wasn't about to give up on her best friend either. 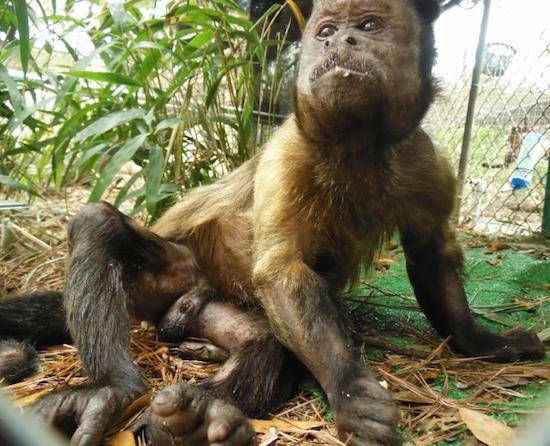 Within several months, Bongo was not only walking -- he was running, a true miracle monkey! Bongo's story is proof that monkeys are amazing beings and that this miracle is a reminder to all of us at Jungle Friends to never give up!